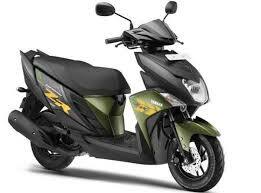 Yamaha Ray ZR is the fourth two wheeler from the Yamaha motors and the first one to get front disc brake in it. With the launch of this stylish two wheeler company wants to target male youth. The standard version of this scooter is priced at Rs. 52,000 (ex showroom Delhi) and the disc version is priced at Rs. 54,500 (ex showroom Delhi).